Luke Lewy is a seasoned business and information technology leader with extensive experience in high growth, fast-paced companies. 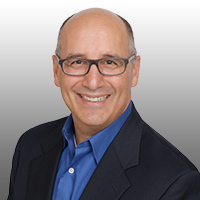 He has more than 30 years of experience applying business and technology expertise to deliver successful integration projects and solutions across a broad range of industries. He has a proven track record in managing and implementing programs, projects, processes, and IT and business strategies. His accomplishments and knowledge span all aspects of business operations including strategy, planning, solutions delivery, and process improvement. Luke is a versatile leader with an exceptional ability to understand the big picture. He identifies constraints, leverages available resources, formulates a plan, organizes a team, executes against the plan, calibrates the plan based on progress, and measures desired outcomes. This experience and knowledge helps Clients avoid common pitfalls and accelerates the progress of identifying potential solutions while realizing value early on to maintain momentum throughout the Client engagement process. He also has a well-established track record for leading integration teams and implementing business process and technology change across multiple functions.